Product prices and availability are accurate as of 2019-04-20 19:14:40 UTC and are subject to change. Any price and availability information displayed on http://www.amazon.com/ at the time of purchase will apply to the purchase of this product. 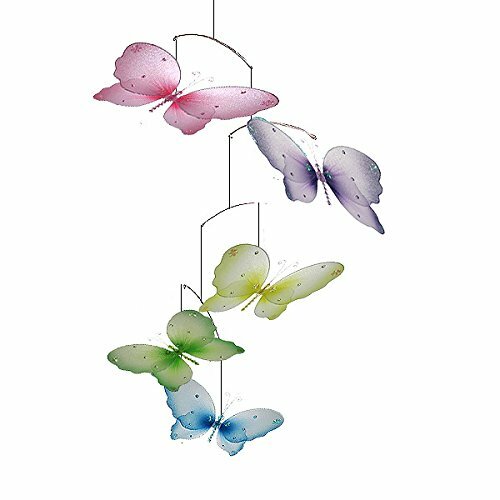 The Emily Butterfly Mobile is made of of nylon and wire decorated with gems and sequins. 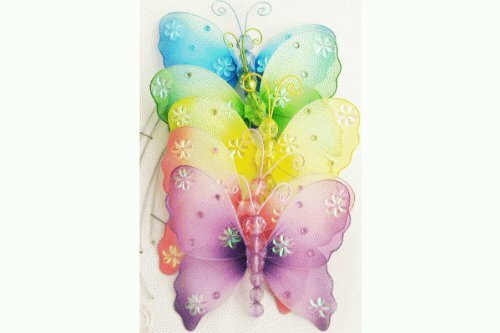 The butterflies have acrylic beads for a body with matching colored antennae. 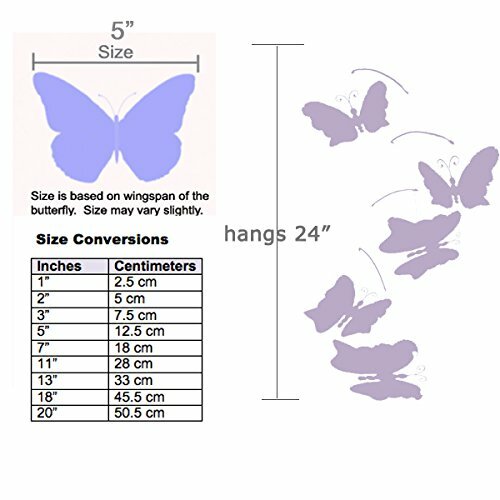 Each butterfly has a 5" wingspan, and the mobile has one pink, one purple, one green, one yellow, and one blue butterfly. 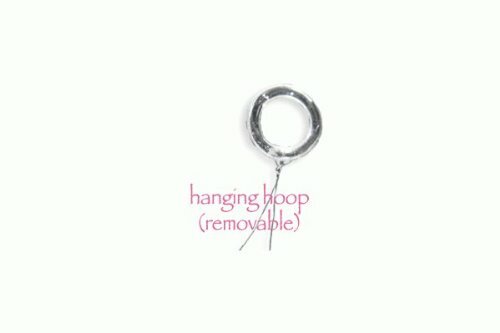 The mobile is designed to hang from the ceiling and hangs down 24".